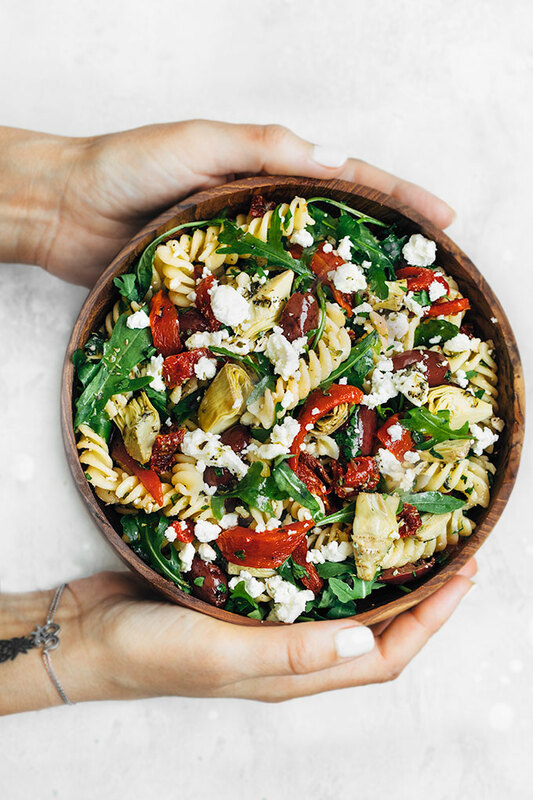 A simple Mediterranean Pasta Salad that’s perfect for quick lunches, picnics, BBQ’s, backyard get-togethers, and easy dinners. I love making pasta salads during the spring and summer months. They’re packed with mouthwatering flavors, tantalizing textures, and they are really easy to put together. 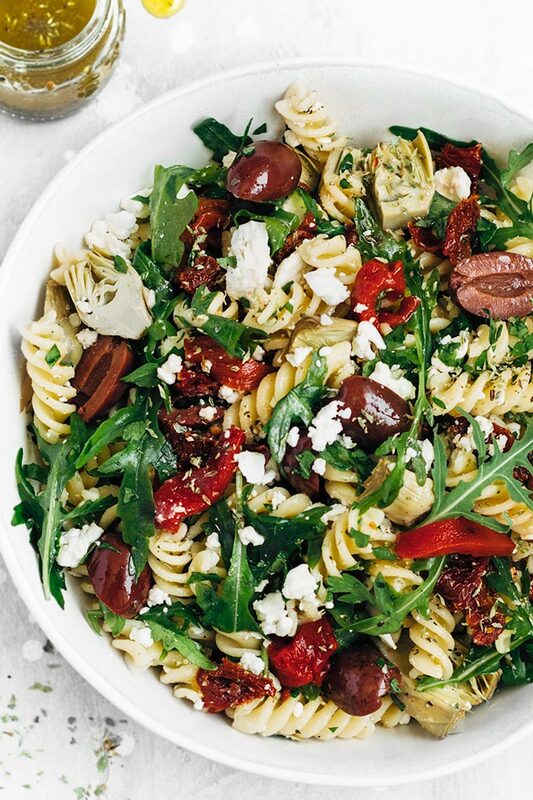 This Mediterranean pasta salad is loaded with fresh arugula, roasted red peppers, sun-dried tomatoes, crumbled feta cheese, marinated artichoke hearts, Kalamata olives, and fresh parsley. The homemade Italian dressing is a mixture of extra virgin olive oil, white wine vinegar, minced garlic, dried oregano, and dried basil. Super simple, fresh, flavorful, and it takes a couple of minutes to put together! Put all the ingredients in a jar with a tight-fitting lid, give it a shake and you’ll have the perfectly blended dressing! The recipe is pretty straightforward. Prepare the remaining ingredients: Chop the marinated artichoke hearts, sun-dried tomatoes, Kalamata olives, roasted red bell peppers, and parsley. Prepare the dressing: Shake all the dressing ingredients in a jar until combined. Toss and serve: Place everything in a large bowl, add the dressing, toss, and serve. Pasta → Use whatever short pasta you prefer (such as penne, shells, farfalle, rotini, or wagon wheels). You can also use two different shapes as long as they have the same cooking time. I prefer pasta with lots of ridges and texture as it allows for the dressing to coat it better and get into all the nooks and crannies. Don’t overcook it! → It is important to not overcook the pasta or the salad will be mushy. I usually cook it 1 minute less than the package instructions. Rinse it → Cook the pasta, drain it, and rinse it under cold water to stop the cooking process. Toss it → Toss the pasta with about one-third of the dressing while it’s still warm, and add the remainder before serving. This keeps the pasta from sticking together. Add your favorites → This Mediterranean pasta salad is easily customizable. I’ve used arugula because I love the spicy, peppery flavor but any greens will work. Mozzarella balls, goat cheese, or shaved parmesan would also be delicious instead of feta. You may also choose to leave the cheese out entirely to keep this recipe dairy-free and vegan. Add some grilled chicken, tuna, shrimps, or chickpeas to make it even more hearty and filling! Other fun add-ins could include cucumbers, capers, pine nuts, cherry tomatoes…whatever sounds good. The options are endless here! 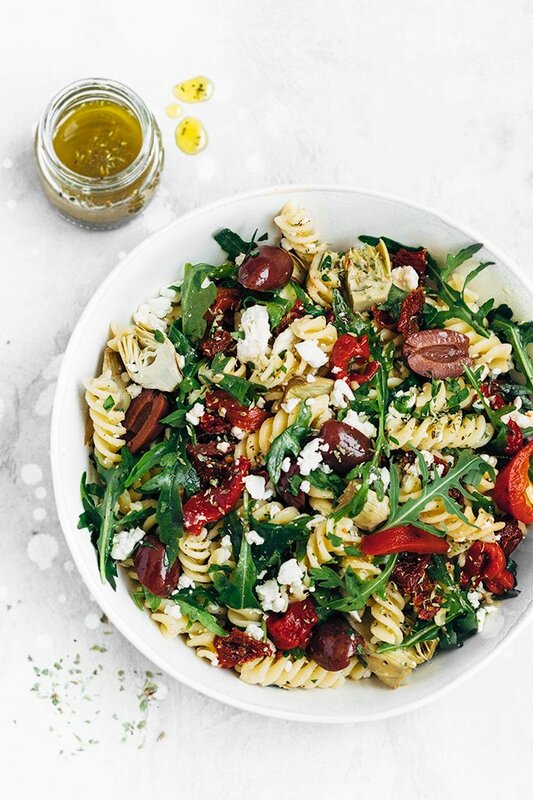 Can I make this Mediterranean Pasta Salad ahead of time? This pasta salad is great served at room temperature or cold. It can be made in advance and will keep in the refrigerator for up to 3 days. Just make sure you add the feta cheese, arugula, and the remaining dressing right before serving for a fresh and delicious salad. I think you are going to love this easy pasta salad recipe! 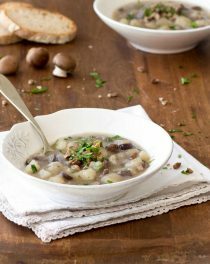 It’s flavorful, simple, quick, satisfying, perfect for warmer weather, and a real crowd pleaser! 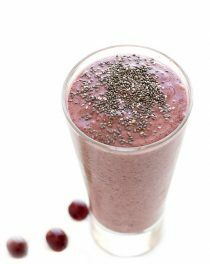 If you try this recipe and love it, please leave a comment and rating! I love hearing from you. An easy Mediterranean Pasta Salad Recipe tossed in a homemade Italian dressing. Perfect for quick lunches, picnics, BBQ’s, backyard get-togethers, and easy dinners. Cook the pasta according to package directions. (I usually cook it one minute less). Then, drain it and rinse it under cold water to stop the cooking process. Toss the pasta with 1/3 of the homemade Italian dressing and set aside. In a mason jar, combine the extra virgin olive oil, white wine vinegar, water, garlic, dried oregano, dried basil, and salt. Place the lid on the mason jar and shake to combine. 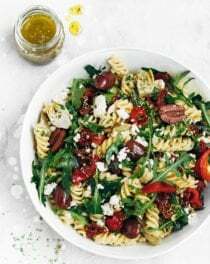 In a large serving bowl combine the prepared pasta, arugula, artichoke hearts, sun-dried tomatoes, olives, feta cheese, red bell peppers, and parsley. Pour the remaining dressing and toss gently until all the ingredients are evenly coated. You can serve the Mediterranean pasta salad at room temperature or chilled. Yum! I think this will be my dinner tonight, looks delicious. Salad looks refreshing. Must try it! 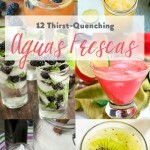 Perfect for summer gatherings. This is the ideal pasta salad – all of my favourite flavours in one delicious bowl of food. Yum! This looks like a great pasta salad, I love the idea of adding tuna to it and making it a complete meal! Pasta salad is my favourite type of salad!! This looks insanely delicious, I adore all the different flavours and need to try this ASAP! I know I won’t want to share it though haha! Such a colourful bowl of goodness, I can have this anytime. Pasta salads are the best, this was a fabulous recipe, so flavorful! It is always wonderful to receive your recipes. I will try it out tonight. This salad was really delicious. I will make it again! Oh wow – I love all these flavors in this pasta salad! Such a great spring recipe!